Key To Torah In-service Programs: Real training for master teachers - THE KEY TO TORAH: UNLOCK THE DOOR FOR LEARNING TORAH INDEPENDENTLY! 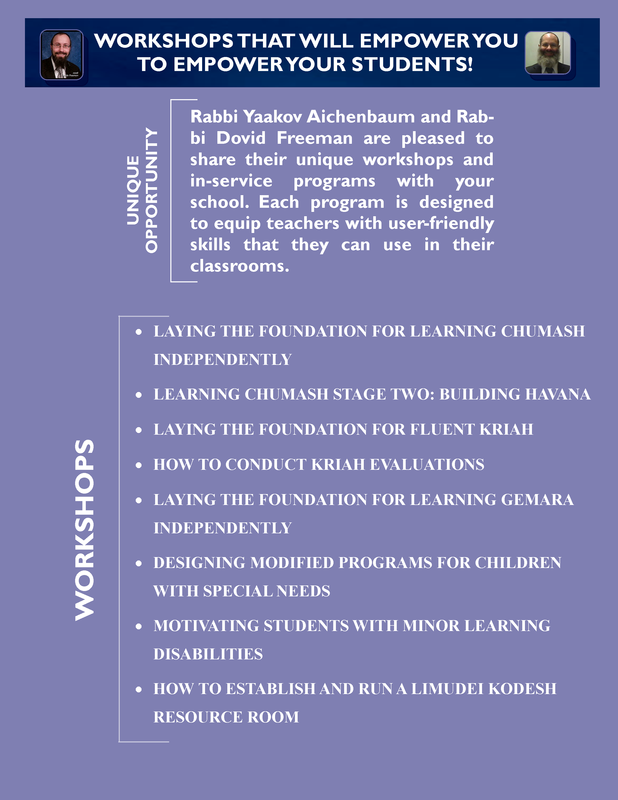 "Yaakov Aichenbaum is an extremely passionate and talented educator who utilizes a powerful blend of contemporary and traditional educational techniques to make learning accessible to all students. His creativity has added much to the field and his workshops are both insightful and practical."